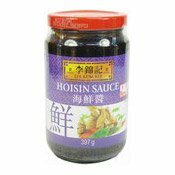 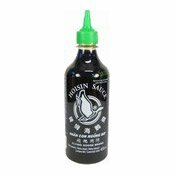 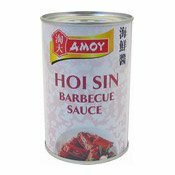 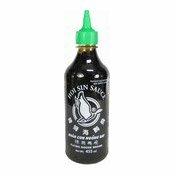 Hoisin Sauce is made from quality soy bean paste, ready to use with roasted cold meat. 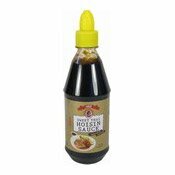 Remove cap and break seal before using. 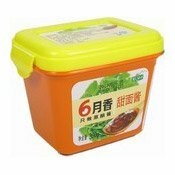 Keep refrigerated after opening, for max 8 weeks. 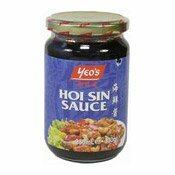 Product may contain traces of peanuts. 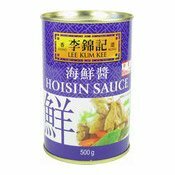 Ingredients: Water, Sugar, Soybean Paste (Soybean, Wheat Flour, Salt, Water, Sugar, Flavour Enhancer (E621), Preservative (E211)) (12%), Salt, Distilled Vinegar, Modified Corn Starch, Garlic, Colour (E150a), Sesame Oil, Star Anise, Preservative (E202). 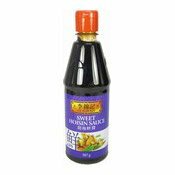 Simply enter your details below and we will send you an e-mail when “Hoisin Sauce (Nhan Con Ngong Bay) (飛鵝海鮮醬)” is back in stock!